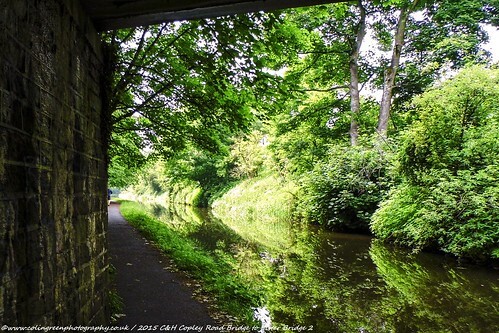 Colin Green Photography: The Calder & Hebble Navigation. Copley Lane Bridge to Lister Bridge. The Calder & Hebble Navigation. Copley Lane Bridge to Lister Bridge. 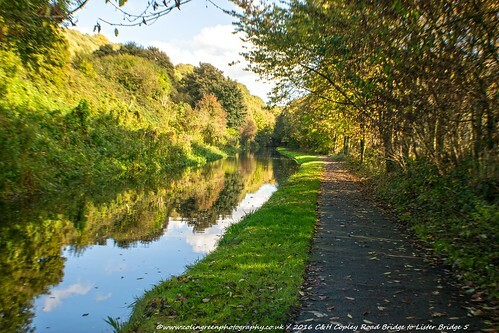 Continuing my collection of pictures taken on the Calder & Hebble Navigation canal through Calderdale. This selection of 15 pictures which can now be seen on Flickr, Clickasnap and here were taken between bridge 7 Copley Lane and bridge 8 Lister. The distance between the bridges is 2.5 furlongs (0.3 Miles / 0.5kms) and the terrain is flat with no locks or notable points of interest. The pictures were taken between 2014 and 2016 using a Polaroid iS2132 bridge camera and a Nikon d3300 SLR camera. The following 4 links open in another window and show the pictures that are exclusive to Clickasnap. View "The Calder & Hebble at Copley" on Clickasnap. The Canal at Copley, view on Cickasnap. Calder & Hebble Navigation on Clickasnap. Viewing any of these pictures for over 10 seconds helps to support my photography as I will receive a small contributors fee from Clickasnap. The pictures above can only be seen on Clickasnap. A small selection follows from the Flickr album. These are just a small selection of the pictures taken on the canal. There are another 11 available to view on Flickr and Clickasnap. I show ads on my blog not to annoy you the reader but where possible to help support my photography and blogging. These ads are supplied by Amazon Affiliates and Google AdSense. If you found this post interesting please take a moment to share, other ways to support my blogging and photography are viewing or purchasing my pictures on Clickasnap, and by donating below via PayPal. You can follow me via the links in the sidebar or the ones below. I only ever post regarding my pictures or blogging, I do not use your information or pass on to other people to use. Follow me on Clickasnap, the Worlds biggest, free to use, paid per view, image sharing site. I have another blog where I share a small selection of trivia on a subject. When bored I like to randomly search the internet and find stuff out so if your the same go have a look at my other blog via the link below.